If there were a special 10 commandments, 10 rules, for writers– what would they be?? Well, unlike Moses, I’m only carrying a couple of Ipad tablets instead of stone, but I do have 10 great rules for my fellow writers …. Although there probably should be more than 10! lol Enjoy! I. Thou shalt always be faithful in the craft by carrying pen and paper on your person at all times. Ideas often strike in the most unlikely places– the shower, bedtime, car rides, washing dishes. Don’t take for granted that you’ll remember that awesome tidbit of creative genius– write it down! II. Thou shalt not be idol. Work towards your writing goals every day. Whether you are actively writing, editing, formatting, illustrating, researching or just marketing your book… Just keep pushing forward to that goal steadily, one step at a time. III. 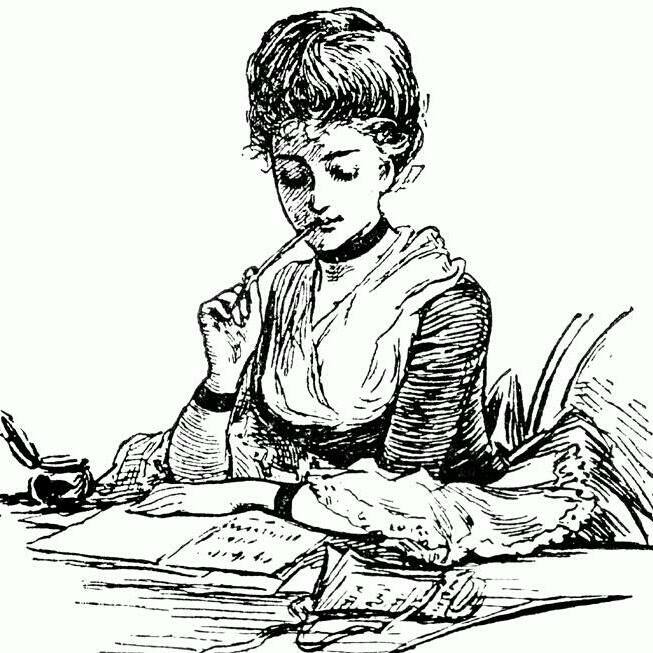 Thou shalt not work in vain– FINISH that darn manuscript! Good or bad, just get it done! Every first draft needs revision work, but first it needs to be FINISHED. IV. Remember to take a moment of rest. It’s okay to take a little time off!– I really have to remind myself of this one. Recharge yourself and come to the desk fresh. Take a walk, do a little daydreaming! That’s part of the job too, ya know. V. Honor thy father and thy mother– in at least one book dedication. They did bring you into this world after all! And, whether they were great parents or terrible, I’m sure they gave you lots to write about– experiences, feelings, memories, good or bad. These are just the colors of your pallet– the stuff that adds depth and realness to your work. VI. Thou shalt not murder– except in the confines of literary fiction. That’s right, as the quote goes, “Be nice, or I’ll put you in my next novel and kill you!”– or something like that. VII. Thou shalt not commit adultery. One project at a time is often the best way to go. Sometimes I work on one major project and two smaller ones that I can pick up and set down easily. But, if you find yourself mixed up or always abandoning projects unfinished, then just stick to ONE and see it through to the end. Make it a rule and stick to it. You’ll be pleasantly surprised. VIII. Thou shalt not steal or plagiarize the hard work of others. Writers work hard at their craft. Some work for years and years on just one piece! J.K. Rowling worked for around 17 YEARS on the Harry Potter series and Tolkien also took around 17 years to write “Lord of the rings”. Copying someone else’s hard work is wrong, it’s stealing and just plain lame. BE ORIGINAL. IX. Thou shalt not bear false witness against thy neighbor– or, if you do write about your neighbor, truth or lies, at least give him a different name and location in your story! You don’t want slander charges against you right? So long as you change key factors, such as name, location and a few physical features, then you can write about whoever you want. X. Thou shalt not covet or compare thyself to other authors. There is nobody who can tell your story the way that you can. You are unique and wonderful in your own right and there is no comparison! So get to work and write that novel! Whether it becomes a best seller or just one little girl’s favorite book, your mission is accomplished as a writer when you touch at least one heart and mind. Thanks for tuning in and– stay inspired! Next Next post: The brand is YOU!